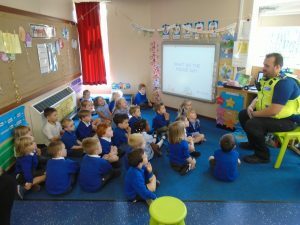 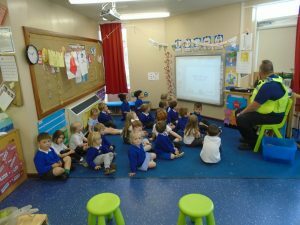 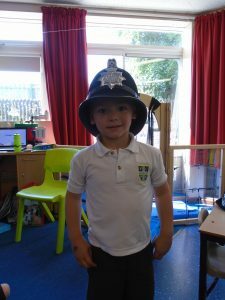 Sean the Police Officer came into Nursery to talk about what the Police do and how they keep us safe. 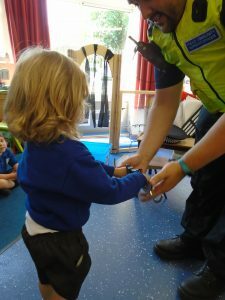 He brought lots of equipment for us to try on and even some handcuffs! 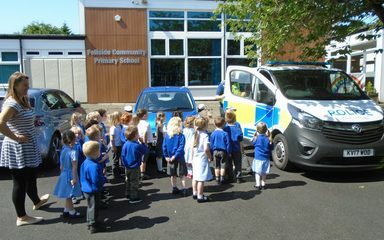 Then we got to have a look inside the Police van and car and he switched the lights and sirens on! 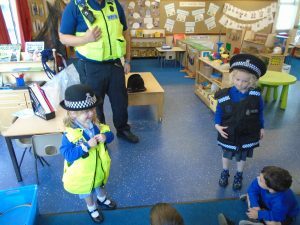 They were very loud! 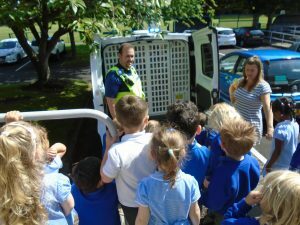 He told us that we can help the Police by always listening to our adults and learning our addresses. 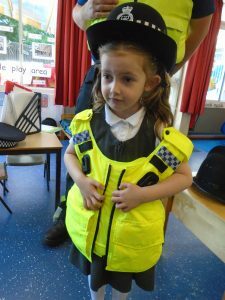 I wonder who would like to be a Police Officer when they grow up? 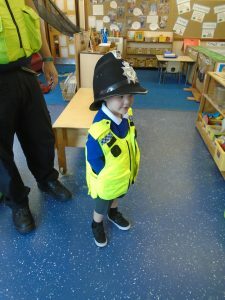 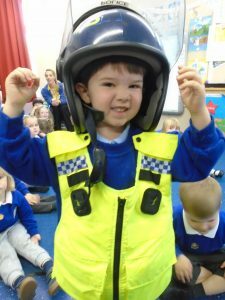 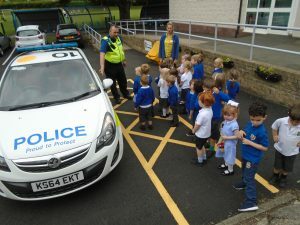 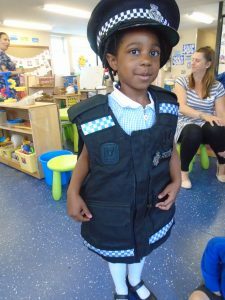 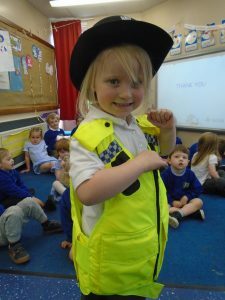 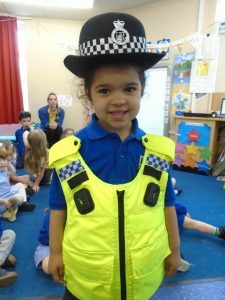 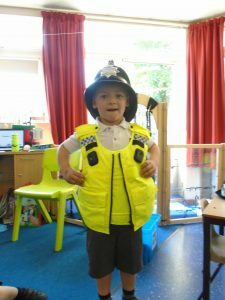 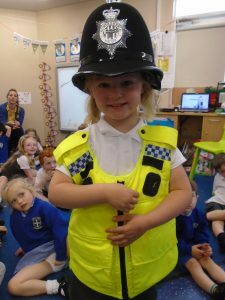 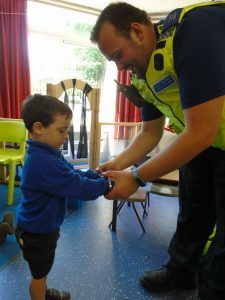 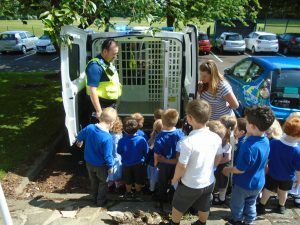 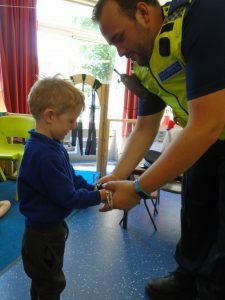 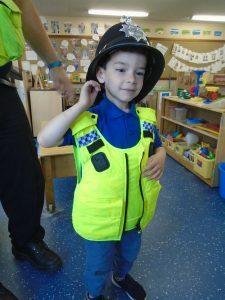 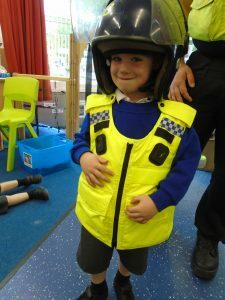 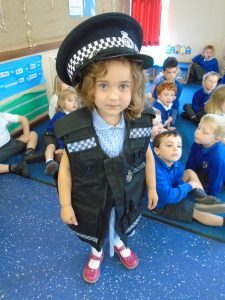 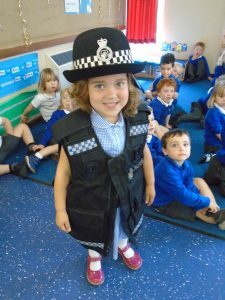 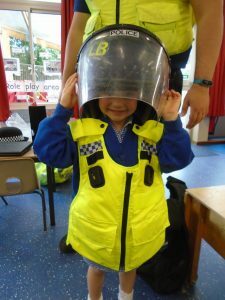 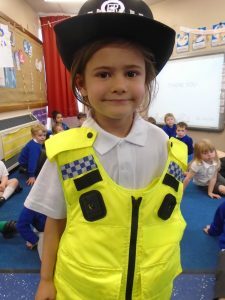 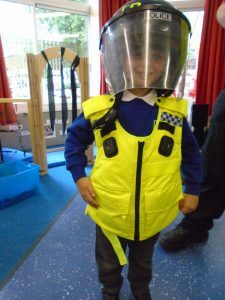 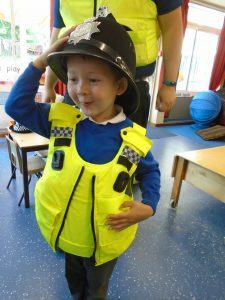 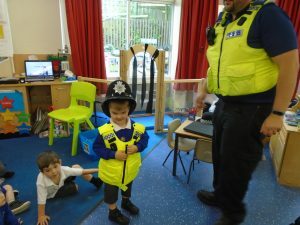 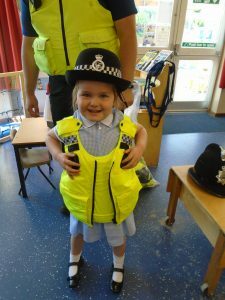 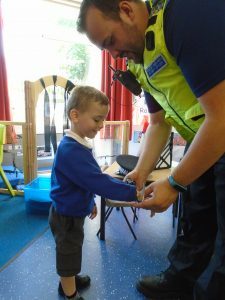 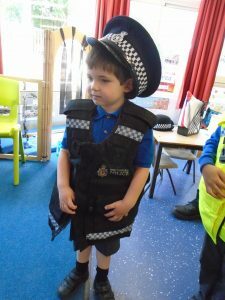 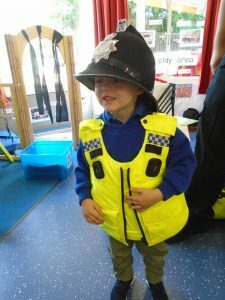 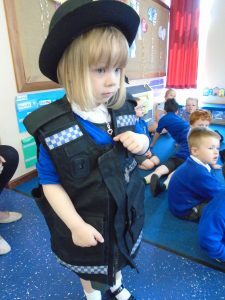 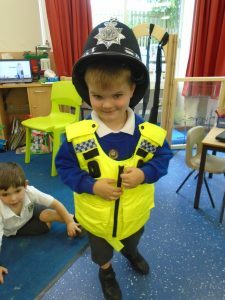 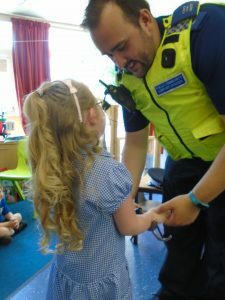 Wow Nursery it looks like you had a very interesting and exciting time talking to the policeman and trying the uniform and hats on. 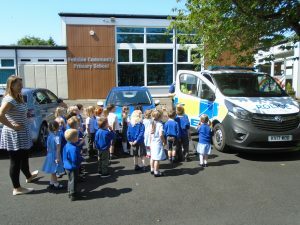 You were very excited to tell us about it when we came in at lunchtime.